I didn't see a topic related to this and if there is already one, my bad, I do apologise! I am very new to being an AFOL and having discovered the world of MOCing ( ... is that the term?) at BrickCan 2018, I want to start building with the mindset of entering a MOC in BrickCan 2019. I am playing around with ideas I like, such as mech suits, post apocalyptic/cyberpunk, and space, mostly because those are my key areas of interest and the loose LEGO I have lying around suits these themes as most of my loose bricks are from Star Wars sets. My issue: I really don't have enough LEGO in pieces to do a lot of creative building. Hence I would like to get more LEGO for building MOCs. My questions: What is the cheapest way to buy LEGO for making MOCs? I don't want to buy sets to build them, I just want the pieces. So is it better to try and buy new LEGO when it is on sale (30-40% off) or better to look at the used LEGO market? 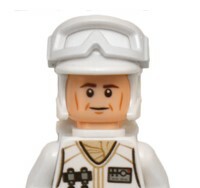 Are there good trusted sources locally that sell used LEGO at reasonable prices? Follow-up questions: What is a good per piece price if I am buying a new set? (e.g. CA$50 for 500 pieces = 10c/piece = is that good?) I know it depends on the pieces included to some degree, as if you pay $50 for 500 studs, that wouldn't be a good price! What is a good price/pound for used LEGO? "This is where an inspiring or humorous quote would go"
I was in your same position about 5 years ago... Like you I like Mech's, space, and had purchased and built some Star Wars sets. A small collection, while limiting, should not limit your creativity. Figuring out how to do things with a small inventory of bricks will force you to find creative solutions to building your MOC's. I'd suggest you try and build things that you feel are mostly doable with your existing collection, and try not to build too big initially. Bigger isn't always better. As far as growing your Lego collection, I suggest buying sets that interest you and who's themes are similar to what you want to build. Unfortunately their isn't one single best way to grow your collection with the specific parts you think you will need for the best/lowest price. If your looking for specific bricks, I like to go online, I personally order quite a lot of parts from BrickLink.com (I use this when I need parts for a specific project, and I always try to find a local store for pick up, or a Canadian West Coast store to minimize shipping). I also use Bricks & Pieces at Lego.Com (to get some newly released parts, usually when I want > 20 pieces of something new). I also recommend that you get more involved with the club itself and get to know us. Often, if you need a specific part, we probably have it and may be willing to trade or sell it to you. We also have a club chat, where we alert each other of local Lego sales. Their are also potential options to get involved with some bulk parts ordering, but you will need to get more involved with the club to participate. If you scroll down, you'll see my MOC's, building techniques, and the size of my builds have slowly increased as I am acquiring parts and getting more skilled. Good luck! I hope to see you at our next meeting. My name is Josh. I would love to attend the meetings, but unfortunately I work Friday and Saturday nights, which I believe are the nights meetings are usually held on. Hopefully in the future when my schedule changes I will be able to make it work! Thank you for the advice. I have certainly continued to buy Star Wars sets and I know I won't keep all of them together, so I can start using some of those pieces over time. I found it frustrating trying to build Mechs with a limited amount of hinging pieces. I did look at a range of techniques to create joints, but often found I couldn't get the range of motion I wanted. 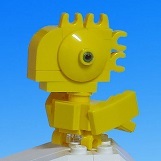 I think I will use Bricklink to get some of those pieces!! It will allow me to stop banging my head against a wall. I hear you regarding size. I am absolutely starting small. So far I have made a small mech suit, a zombie proof camper van, and a speeder bike. Humble beginnings, but steps in the right direction one hopes. I think part of the problem with buying is that I am still so new to it, that I have little idea whether I am getting a good deal. This makes me a bit leery to buy used from craigslist. I guess knowing a good deal will come with time and probably mistakes - hopefully not too costly ones! I guess as long as I buy stuff I like, I will rarely regret getting sets. Thanks for the link to your MOC pics. I will definitely check them out. Watching Youtube tutorials and looking at pics of other people's work has been a real boon for my own building. Thanks again Tyler. Hope to meet you soon! I'd love to see your builds. Can you post them on Flickr and provide a link to them? If you don't have a Flickr account, I'd recommend getting one, its easy and free to set up. Their is also a huge global Lego AFOL community that uses it to post MOC's, share feedback, and generally support each other. I wouldn't worry too much initially about the photo composition, editing, etc. I suggest just using a plain backdrop, make sure the MOC is well lit, and make sure the camera is held still to maximize photo quality. Also, while photo editing is useful, its not not required if you just take the time to set up the shot carefully in the first place. Wow - brilliant MOCs! I like the way you used Friends in a cool, futuristic way. I'm not a Friend's fan, but I really liked your spin on them. I don't have Flickr, but I think that it might be a logical next step. I will sign-up for an account. I have somewhere at home I can take pictures, just need to arrange a plain white/coloured background. TBH my MOCs are still so limited I'm embarrassed to post them up. They are very eclectically coloured as I don't have enough pieces to have consistent colour schemes. But I like to think that lends them a certain charm.